Inspired by Fabric: Ready, set, sew! It's Sew-a-thon time! Ready, set, sew! It's Sew-a-thon time! 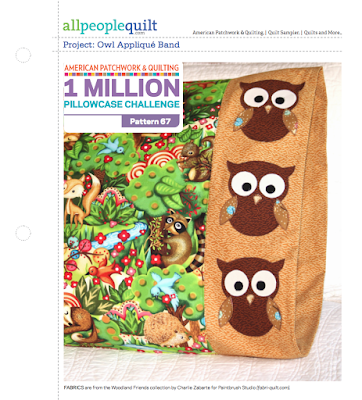 American Patchwork & Quilting's 1 Million Pillowcase Challenge is still in full swing, and we're ready for some night owl sewing! As a sponsor of this worthwhile challenge, we're happy to help spread the word. ...to join American Patchwork & Quilting magazine as we sew pillowcases for charity for the weekend of September 15-16, 2017. 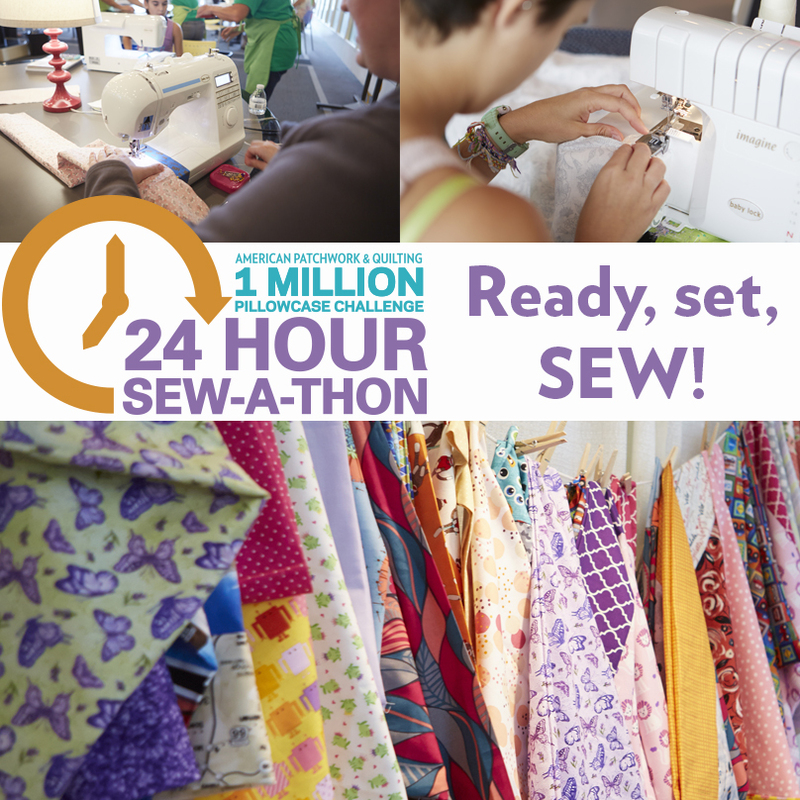 Quilt shops, guilds, and groups around the country are hosting events in conjunction with our 24 Hour Sew-a-Thon in Des Moines, Iowa. Visit www.allpeoplequilt.com/sewathon to find an event near you (note: some events are held on alternate dates). No event nearby? Sign up to host one or join in virtually! APQ will be sharing videos and photos on social media throughout the event. And if you're looking for an idea of a pillowcase to sew, check out the super-adorable new Owl Applique Band pattern on the AllPeopleQuilt website, featuring Charlie Zabarte's Woodland Friends collection. Find plenty of pillowcase inspiration and more information on the 1 Million Pillowcase Challenge here.